This phenomenological study describes the lived experience of pain inflicted in the context of medically prescribed treatment, and it explores the meanings of such pain for patients who endured it and for nurses whose actions contributed to its generation. 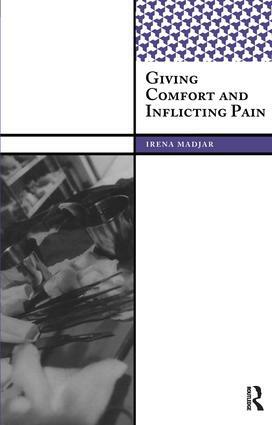 Thus, it presents a thematic description of the phenomenon of clinically inflicted pain. The dangers for both patients and nurses when clinically inflicted pain is ignored, overlooked, or treated with detachment are presented. The study also points the way toward nursing practice that is guided by thoughtfulness and sensitivity to patients1 lived experience and an awareness of the freedom and responsibility inherent in nursing actions, including those involved in inflicting and relieving pain. Questions are raised about nurses1 knowledge, attitudes, and actions in relation to clinically inflicted pain. The study highlights the need for nursing education and practice to consider the contribution of a phenomenological perspective to the understanding of the human experience of pain and the nursing role in its generation, prevention, and relief.